THE ISSUE: The Will confronts Prince Robot IV to avenge the Stalk’s murder. WHY IT’S EPIC: I went back and forth on whether I liked Saga #53 for this spotlight. Not because it isn’t gorgeous, of course. Fiona Staples has done no shortage of spectacular art for Saga. But unless you’re following the book on a monthly basis, read this cover doesn’t necessarily draw your curiosity. You might not even be sure what exactly you’re seeing. If you’re a Saga reader and you haven’t picked up this issue yet, be warned. The last page is a gut-wrencher. 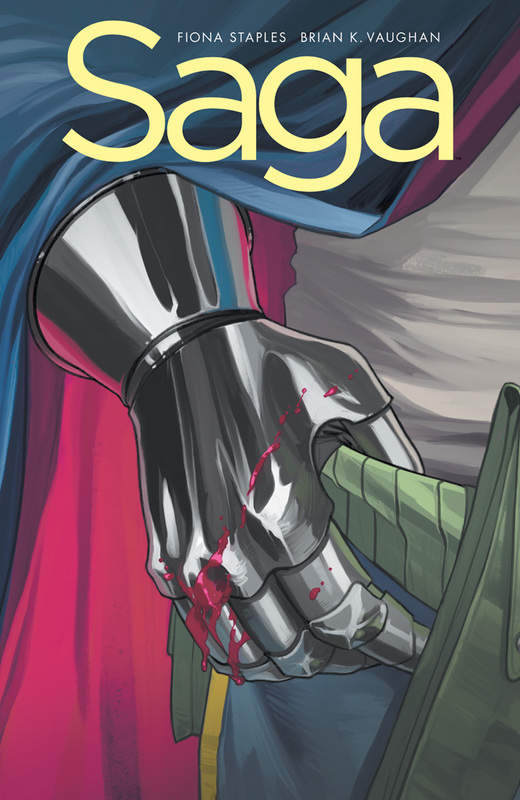 This entry was posted in Comic Books/Graphic Novels, Epic Covers and tagged comic art, comic books, comics, Epic Covers, Fiona Staples, Image Comics, Prince Robot IV, Rob Siebert, Saga #53 (2018), Saga (Image Comics), The Will (Saga), Western on 07/03/2018 by primaryignition.